Large corporations that own organic food brands are also bankrolling the fight against the GMO labeling initiative. General Mills is helping fund No on 37. It's no secret that giant agribusinesses like Monsanto are spending millions of dollars trying to defeat Proposition 37 on the November ballot. The Right to Know Initiative would require food companies to label products that contain genetically modified organisms, also known as GMOs. Big Ag is worried that the labeling requirements will slow the massive growth of the GMO industry and slash its profits. What is less known, however, is that several major food corporations that sell organic food products have joined Monsanto in trying to kill Prop 37. These companies, also sometimes known as Big Organic, include Kellogg, which owns Morningstar Farms, and had donated at least $632,500 to the No on 37 campaign as of last week. General Mills, which owns the Cascadian Farm brand, had donated $889,000. Dean Foods, which owns Horizon Organic, had donated $248,000. Coca-Cola, which owns Odwalla juices, had contributed at least $1,164,000. ConAgra, owner of the Orville Redenbacher and Hunt's organic brands, had donated $520,000. Del Monte Foods, which sells organic canned tomatoes, had donated $660,000. All told, including $4.2 million from Monsanto, the No on 37 campaign had gathered at least $24.9 million in contributions as of September 5 — with the election still two months away. "It will be surprising if that number doesn't go up exponentially," said Mark Kastel of the Cornucopia Institute, a farm policy research group based in Wisconsin that keeps close tabs on the organic food industry. "[T]his campaign will get as much money as it needs. They won't waste any money — they will do polling, see what works, and apply resources where needed. It's the classic fight of money versus people." And so far, money has a perfect record versus GMO labeling in this country. Nineteen states have attempted to pass laws similar to Prop 37, and all of them failed. Attempts to get the FDA to pay attention to GMOs have also failed. But with the November election fast approaching, the Yes on 37 campaign enjoys a significant advantage in public opinion. A recent poll by Pepperdine University showed that 65 percent of California residents favor GMO labeling. The Right to Know campaign also boasts an impressive roster of endorsements, including Alice Waters, the Sierra Club, and Greenpeace, along with Slow Food groups up and down the state, labor unions, and alternative health magazines. Small local companies that sell organic products are also helping fund the Yes on 37 campaign, including Annie's, which contributed $50,000, and Clif Bar, which donated $100,000. The aim of Prop 37 is also somewhat modest: providing transparency for consumers. Any food composed of 1 percent or more genetically modified organisms would require a label noting the presence of GMOs. In time, the law stipulates that percentage move down to zero, meaning that foods with any amount of GMOs, no matter how small, will require a label. It's important to understand the stakes of what's being omitted in the absence of proper labeling. GMOs aren't simply strawberries bred sweeter or strains of corn that have been modified to be drought-resistant. Monsanto's GMO sweet corn has been altered to include the genetic code of Bt (Bacillus thuringiensis) — a bacterium that acts as an insecticide, killing insects by splitting open their stomachs. To prepare soybeans for a thorough saturation of its herbicide Round Up, Monsanto created Round Up Ready soybeans, a crop modified with intact genetic code from the cauliflower mosaic virus. This means that viruses and bacteria in the food mingle in the hotbed of active cultures in your stomach. So why is Big Organic against Prop 37, too, when The Right to Know Initiative could boost the sale of organic products by giving consumers a clearer picture of which brands contain GMOs and which ones don't? Well, the big companies that own organic labels also own brands that produce foods made from GMOs, and so the measure could end up costing these companies a substantial slice of their total profits. Prop 37 also would prohibit food companies from using the labels "natural," "naturally grown," "naturally made," or "all natural" in products that contain GMOs. This ban could impact food conglomerates that own both organic and "natural" brands. For example, Kellogg also owns Kashi and Gardenburger "natural" foods. PepsiCo, which had donated $1,716,300 to the No on 37 campaign as of last week, owns "natural" brands IZZE beverages and Naked Juice. And Nestle, which owns Häagen-Dazs "natural" ice cream, had contributed $1,108,000. The No on 37 team is quick to assure consumers that GMOs are perfectly safe, repeatedly stating that there have been no verifiable claims of harm caused by them. But there's growing evidence to suggest concern. A June report from UK-based food advocacy organization EarthOpenSource, "GMO Myths and Truths," presented a large body of peer-reviewed scientific evidence showing clear signs of toxicity in animals exposed to GMO feed, bias in research funded by companies like Monsanto, and allergic responses to GMO food. GMO proponents claim that only a selective reading of the evidence shows harm, when in fact, the opposite is true. It's quite difficult to dig into the science without finding a pattern of negative health impacts associated with genetically modified food. And in the United States especially, consumers are left in the dark. Unlike residents of more than fifty countries that require GMO labeling, US food shoppers have no way of knowing what's in their corn flakes or tomato sauce. "Consumers have a good reason to be skeptical," Kastel said. "How many times have we approved some kind of product, and then, whoops, a decade or two later, even though there was ample reason to be cautious, untold numbers of people are killed and injured? Now we've got a constituency of consumers who would like to err on the side of caution. We can't do that without information and labeling." So what is the No on 37 campaign doing with all that money from Big Ag and Big Organic? It's producing ads that raise fears of increased grocery bills and frivolous lawsuits. The ads also include testimony from farmers that the measure will increase their costs of doing business. In short, the deep-pocketed No on 37 campaign is trotting out anything and everything to distract from the initiative's sole aim, providing transparency about what's in food — which also happened to be the primary driver behind the original organic movement. From the start, the organic movement was motivated by a desire to break free of the abuses of an industrial agricultural system. Consumer pressure helped usher in the creation of the certified organic label by demanding food free of pesticides and herbicides. At first, big corporations ridiculed the movement. But over time, once the growing market demand became apparent, acquisition became the preferred strategy. Companies bought popular organic brands, oftentimes moving immediately to undermine the values consumers treasured most. Right after taking over the Silk brand in 2002, Dean Foods began reducing the organic content, moving toward cheaper modes of production. Dean Foods bought Horizon Organic in 2004, and began to purchase organic dairy products from suppliers operating factory farms. "They know what we're hungry for," Kastel said of Big Organic companies. "We buy the story behind the label, a romantic story about organics and organic farming and the people involved. 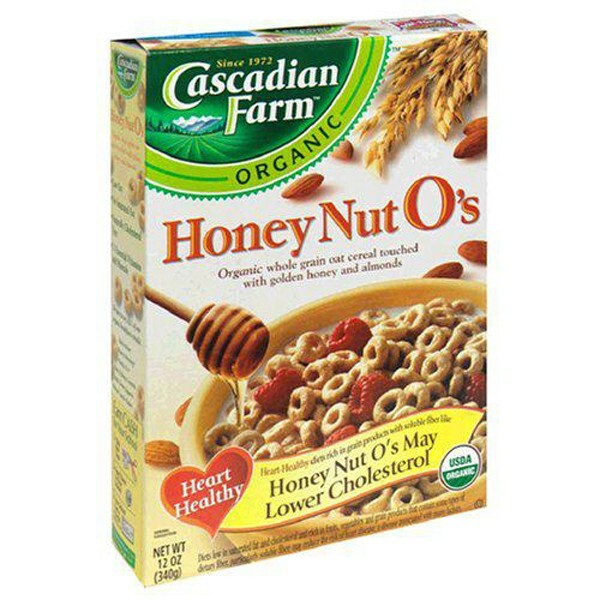 You'll never see the name General Mills on Cascadian Farms. You won't see Kraft on Back to Nature. These corporations create those facades."